Wings evolved in land and sea creatures alike, and for years they’ve held a special place in religious and mythological texts. An essential component of angels, birds, and bats, wings represent many ideas related to freedom, dreams, and faith. 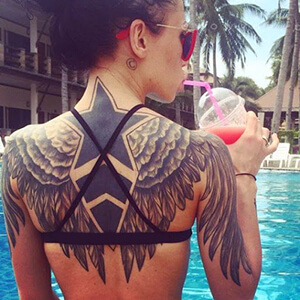 Below, we’ve put together a comprehensive list of wing tattoo designs, explaining the meaning behind each one. Angel and Demon Wings: these unique wings represent the duality of human nature, including our dark and light sides alike. 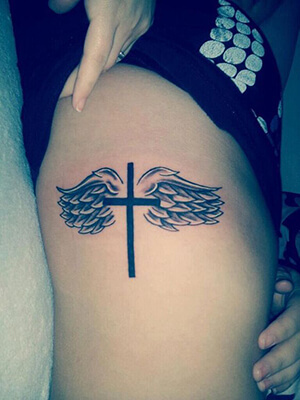 Angel Wings with Halo: this tattoo design celebrates a loved one who has passed away, and is believed to be an angel in heaven, watching over. Batwings: in China, bats symbolize good luck and happiness. Batwings specifically can represent a fallen angel. 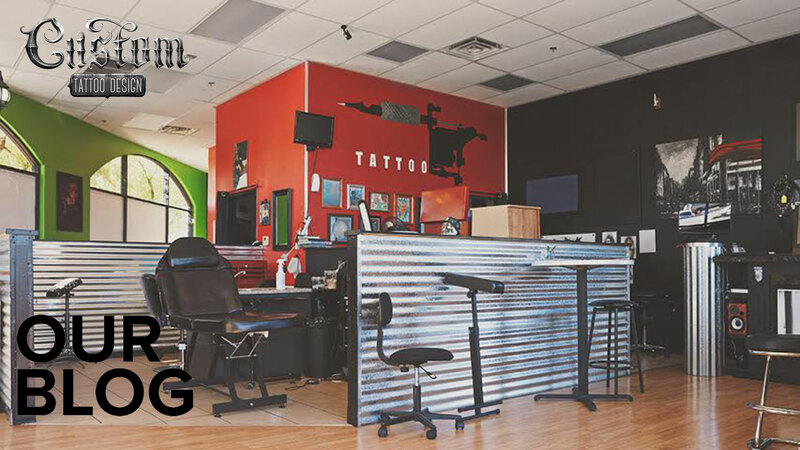 We’ve got a full list of Chinese tattoo meanings available here. 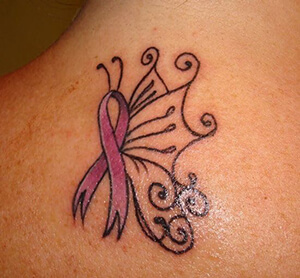 Breast Cancer Ribbon Wings: featuring the signature breast cancer ribbon with the person’s name beneath, these wings celebrate a loved one who was lost to breast cancer. Butterfly Wings: these colourful wings represent the transformation into a superior being. 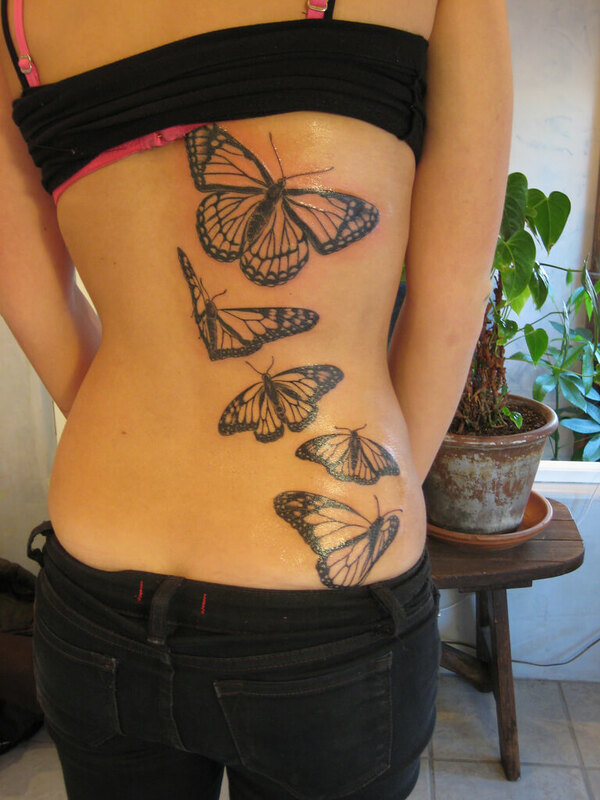 But Butterfly tattoo designs can have many different meanings. 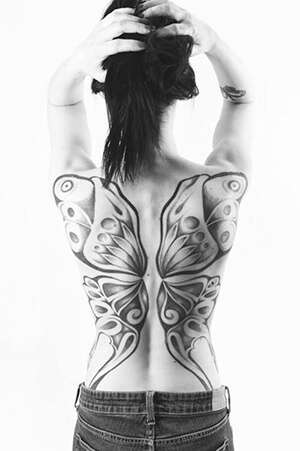 Learn more about butterfly tattoo designs and their meanings here. Cross with Wings: paired with the cross, these wings are a statement of religious freedom. 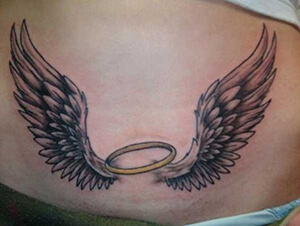 They can also stand as a reminder of a near death experience or a tribute to a loved one who has passed away. 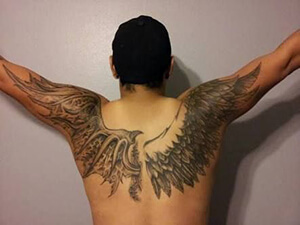 Eagle Wings: as a tattoo design, eagle wings symbolize American patriotism. Heart with Wings: wings attached to a heart express one’s love of freedom and they celebrate a romantic partner. Star with Wings: this symbol is commonly associated with the navy, coast guards, and seafarers. Typically, a star with wings tattoo design marks the passing of a loved one overseas, and it’s worn over the heart or on the wrist to serve as a constant reminder. Valkyrie Wings: in Norse mythology, Valkyrie women were those who selected the strongest men for battle. Valkyrie wings are stately and bold, and they’re a symbol of female empowerment. 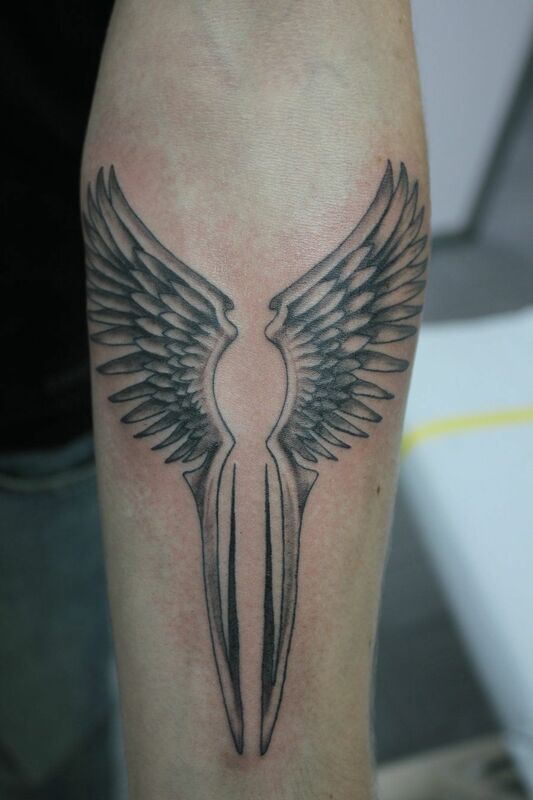 Wings play an important role in many humans lives, representing everything from romantic love to life after death. 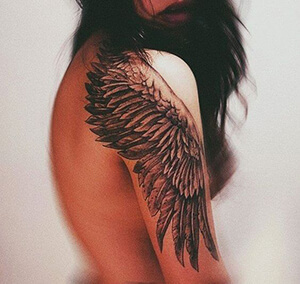 No matter which wing tattoo design resonates with you, each one offers a way for you to celebrate your unique identity. 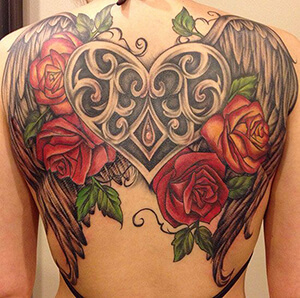 If you know of other interesting wing tattoo designs, let us know about them in the comments section below!